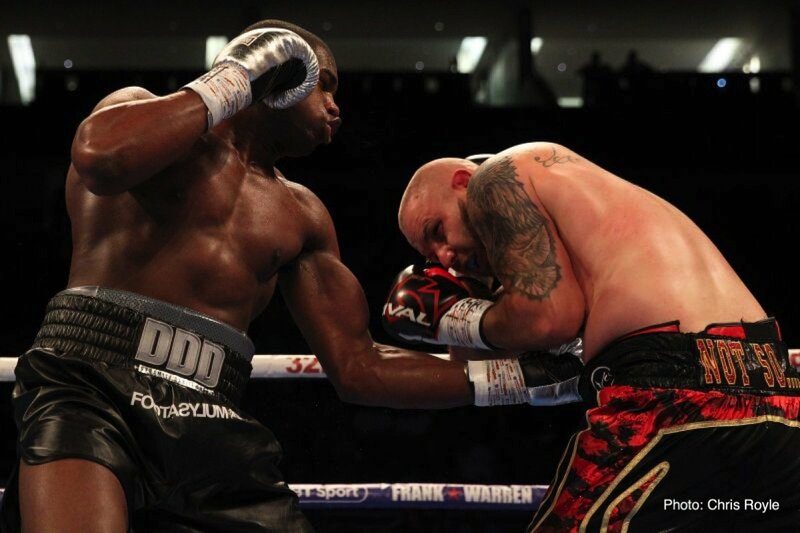 Tonight at The O2 in London on Frank Warren’s show, red-hot heavyweight prospect Daniel Dubois improved to 8-0(8) as a pro with an impressively calm and patient fifth-round stoppage of a game Tom Little. 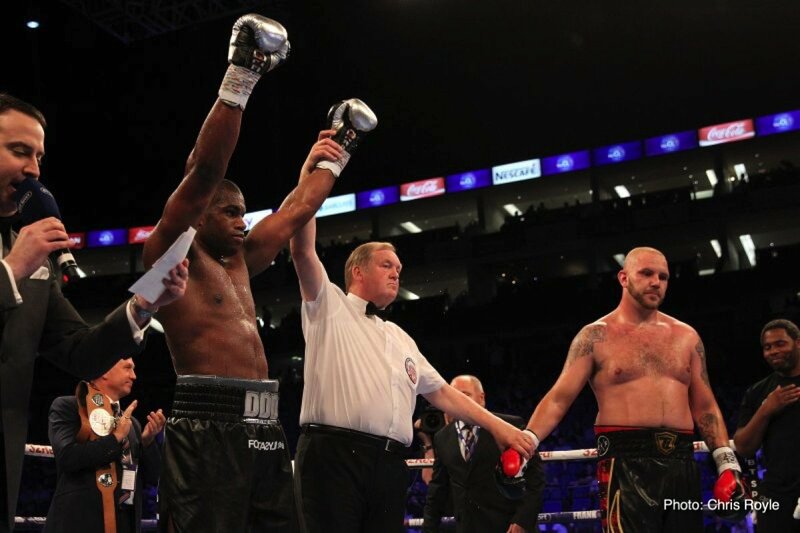 Dubois, who gave the durable Little a steady hammering throughout the bout, is now the English heavyweight champ. 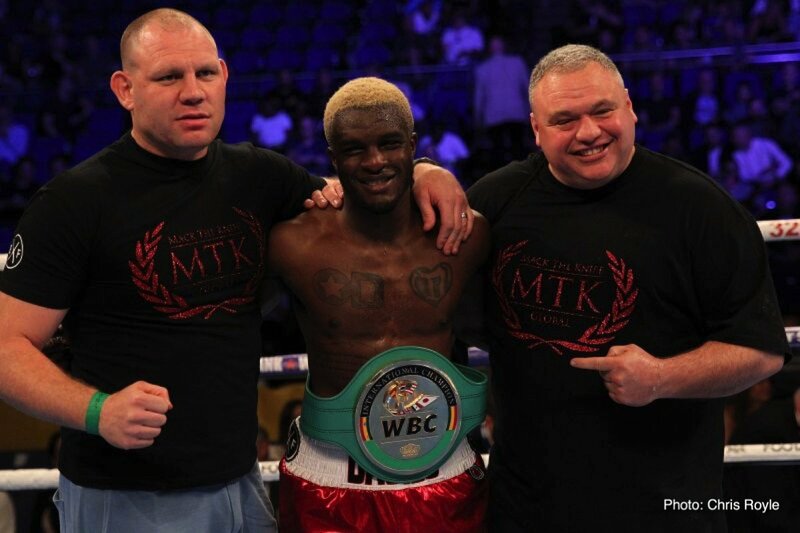 Dubois let loose with a barrage in the 5th, with referee Terry O’Connor diving in to end matters. Time was :58 of the 5th. Little falls to 10-6(3). Little had talked a great fight in the lead-up to the fight, and to his credit he did take his lumps. It was all one-way traffic, however, as 20 year old Dubois, taking the centre of the ring, took his time in unloading his powerful shots. A hard left hook to the head scored in the opening round, with Little, a decade the older man, shaking his head in defiance. Dubois let his hands go in the second, going for the stoppage as he was. Little tucked up, showing his experience. 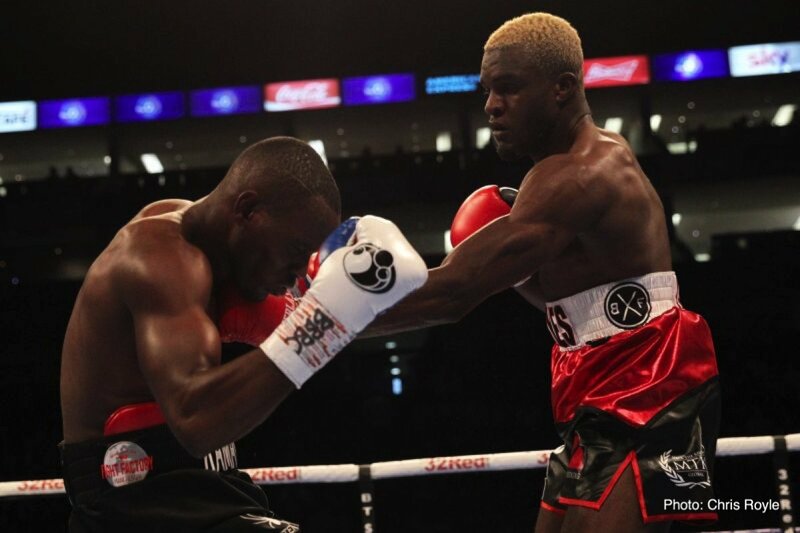 Little had said beforehand how he would be targeting Dubois’ body, but it proved to be the other way round. Dubois landed some big rights to the head also but his body work was especially impressive. 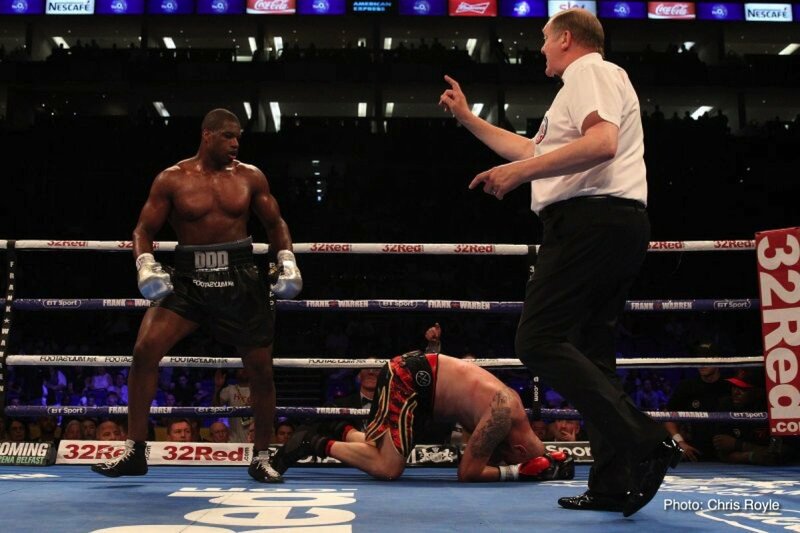 In the 4th a huge left to the midsection sent Little down and he showed great heart in getting up – as ringside co-commentator David Haye said on air, Little could easily have stayed down and no-one would have held it against him. Dubois resumed his attack, unloading plenty more shots downstairs. Little screamed how one of these shots, which landed just before the bell, was low. The writing was on the wall now and it seemed to be a matter of time. Little was thrown to the mat at the start of round-five and the end came swiftly afterwards. Pinning his man in a corner, Dubois unleashed combinations up and down and the third man had seen enough. Little protested but the stoppage was fine. 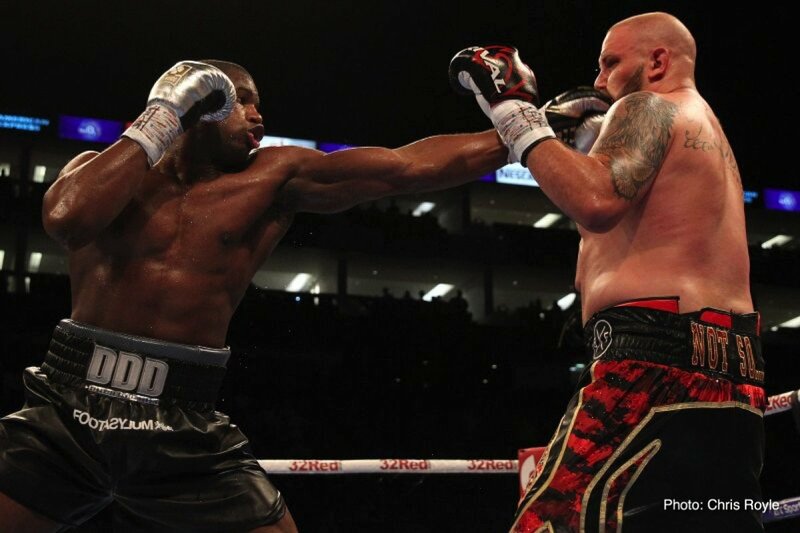 Dubois was extended tonight but he was relaxed and impressive in going five rounds for the first time. Bigger tests await “DDD,” Daniel Dynamite Dubois. 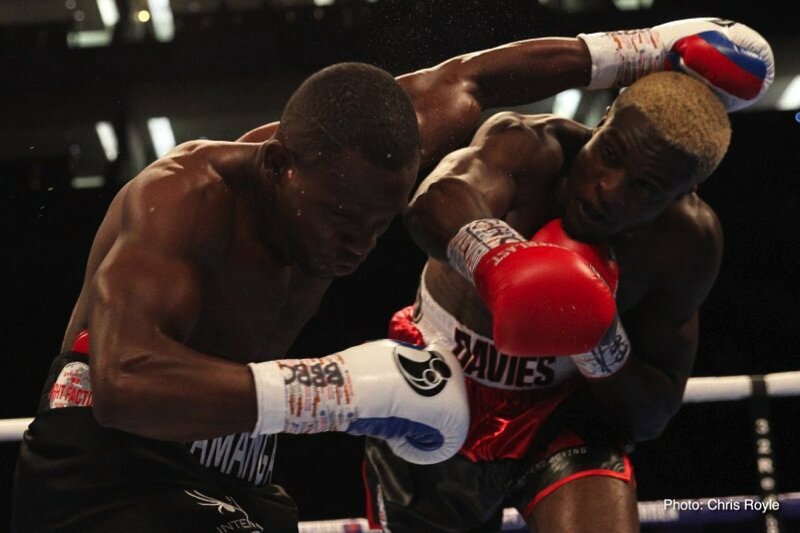 Ohara Davies (18-1, 14 KOs) knocked out WBC International champion Paul Kamanga (21-2, 12 KOs) in round two.